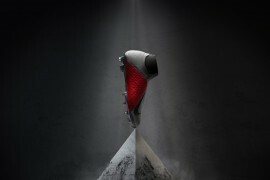 It’s a very, very, astoundingly rare thing in the world of football boots when the simple things get done right – things are over complicated far too often, which is why this clean-cut new Puma PowerCat has our hearts all a-flutter! Marking a return to black for the PowerCat – which seems to have been in every colour under the sun in it’s 11 months on sale – we thing that the whole boot looks very clean and ‘together’, not particularly highlighting the technology or features to give a very old-school look. 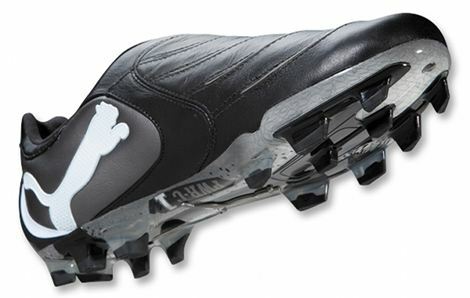 One thing that might stand out for long-time lovers of Puma’s ‘power’ football boots is the slight redesign on the outside of the boot towards the heel, with a swathe of black leather meeting the Aged Silver synthetic around Puma’s legendary Big Cat logo. 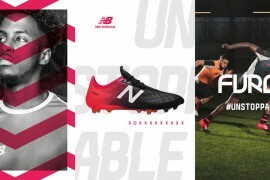 Puma seem to have been going from strength-to-strength with their football boots recently, with their White/Team Orange PowerCat being one of our favourite colourways of last year – and it’s good to see their designers come up with something completely different from that launch in October. 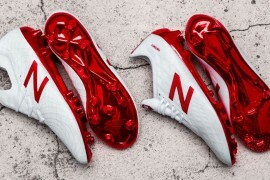 One downside of this PowerCat has got to be on pitch visibility – whilst the aforementioned White/Team Orange were visible on the feet of Bacary Sagna, Michael Carrick and Nemanja Vidic, these more understated football boots will be a little harder to see on the pitch! 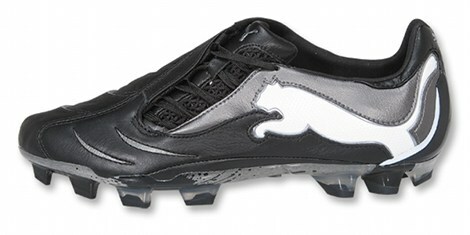 The new Puma PowerCat Black/ Aged Silver is available to pre-order in the US for shipping mid-January with details on a European release to follow very shortly! What do you think to this latest release? Clean and classic or dull as dishwater? Let us know using the boot-o-meter or shoot us a comment! I like the colors, they look really nice. These Cats are very, very subtle – and by that I mean in the most positive, visually pleasing way possible. look-wise, i like the powercat, i like the colors and the designs. but what i know from trying them on in store is that the 3D Shooting in the kicking area ( the curved lines on the front) is feelable and noticable when worn. 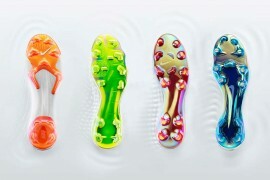 what i mean be that is you can feel each one of those curved lines going up your foot which isnt really uncomfortable, just odd and maybe not to everyones preference. i think “visible” is not the case for every players. 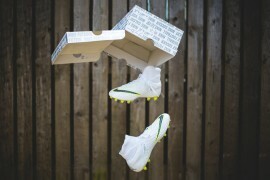 some players doesn’t really care about boots-visibility anyway. 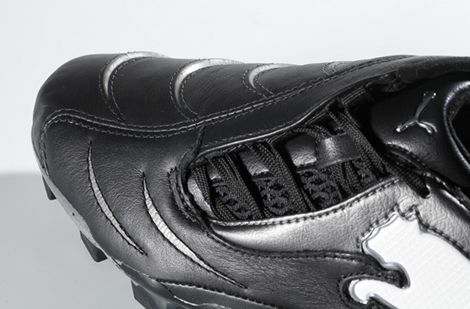 they got on the pitch with black boots, score goals, spread passes, or break some forwards. please the coach, the fans, and teammates, and go home happy. real nice colorway from puma, this one. I agree, the Powercats look brilliant. However, I disagree with you’re view on the comfort of the boots. I bought a pair of 1.10s in the off-season and they are the most comfortable boots I’ve ever had. Perhaps you tried a size too small for your feet? 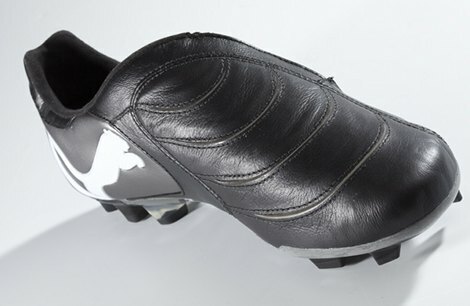 I really can’t vouch for these boots enough, they’re brilliant.